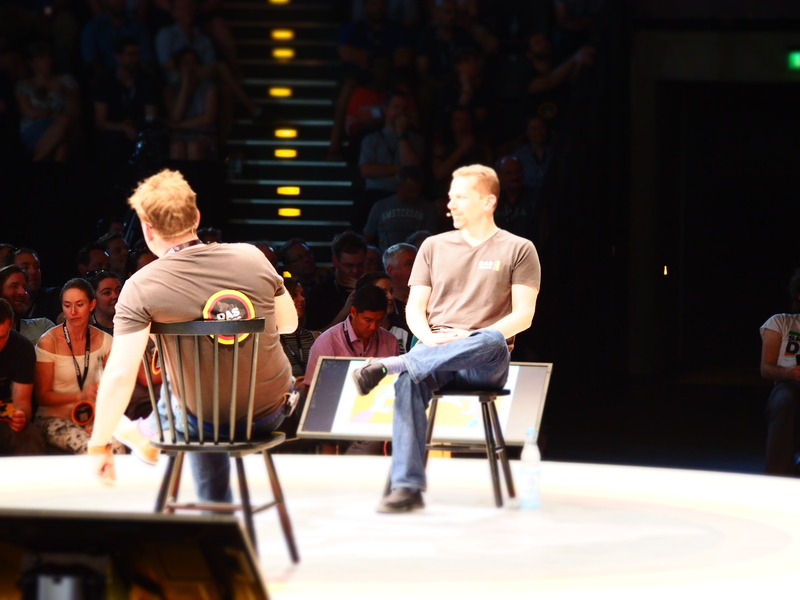 Day 2 of the single track #dasSMACC conference in Berlin. An early start for some who were rather celebratory last night, but credit where it is due, we were all back in the Tempodrom bright and early to kick off with a panel discussion on tribalism. This is a topic that SMACC has tackled before when Vic Brazil gave one of her best ever talks at SMACC Gold. That was the first time I really considered tribalism as a force for good and bad in healthcare and so today was a continuation of that line of thinking. Expertly led by Walter Eppich the panel tackled behaviours and interactions between the various tribes that exist in medicine. The learning points I took away were that we are all in multiple tribes at different times and places. It might be your speciality, grade, gender or place of practice that might define your tribe but the point is that we are all tribal in one way or another. Tribes can be good. It’s great to be part of a team and to share values, and great tribes can do great things through shared values and understanding, but there are also problems. The dark side of tribalism is most often seen when things go wrong. That’s when we retreat into our tribes and defend ourselves from other tribes who do not share the same values. Under stress it gets impersonal and generic. We start talking about ‘Surgeons’ as a generic group of people who are all the same, with the same values and behaviours. This is of course rubbish. None of us is defined in our mind by the labels that we carry, but it’s clear that others define us by our labels and sadly we do the same to them. This was evident in the session where some comments about surgeons in particular raised real concerns amongst some in the audience. That’s unfortunate and unintentional, but if we step back and consider this it was exactly the point the panel was making. We do put people into tribes and attribute qualities to them unintentionally. It’s not right, but we can’t make it better by complaining. We need to think and change our behaviours through positive and progressive discussion (not insults on Twitter). It’s arguably an unintentional implicit association about tribes which you can read a bit more about here. Bottom line from me is that we need to be kind to people and try not to judge too quickly or without context. Our own Ashley Liebig talked about how doctors don’t rule the resus room. Not a title she had chosen for herself, but one that immediately makes most of us descend back towards our tribalistic beliefs. I expect most people thought that Ash was going to suggest that it is nurses who rule, but this is not the case. Ash rightly points out that it’s the team that rules and that there is no one person or one group that can be considered to have primacy. She quite rightly stated that the nursing team can take on many of the tasks that are traditionally doctor-based so that the team gets better overall. This is something we’ve found in our sim training. The nursing staff are capable of running an ALS code, defibrillating, cannulating, and many are competent in airway care too. In other words it’s not just about the doctors, and as team leaders we need to know this. From the patient’s perspective they really could not care less what badge you’re wearing, rather they just want you to be good and that’s not about the tribe you’re in. This was a discussion between some unknown doctors called Scott Weingart and Reuben Strayer, facilitated by our very own Natalie May (with a bottle of fortified wine). SCAPE (sympathetic crashing acute pulmonary oedema) represents a significant ‘brown trouser’ moment for many of us, and Scott and Reuben shared their views on the management in resus. In a humorous debate they agreed on a couple of points; pump up your dose of nitroglycerine (10-20 mcg/min is way too low) and start NIV early. The main diversion in opinion was with regard to using vasopressors. Both agreed that adrenaline (epinephrine) is a great agent to use, but how should we use it? Reuben advocated the ‘dirty-epi drip’, which is 1mg in 1L of a crystalloid of your choice. The idea is that one can create this infusion rapidly and titrate to effect. Scott on the other hand favoured a push dose of adrenaline, using 10mcg/ml doses. Either way, it is important to acknowledge that in crashing hypotensive patients we need to use pressors early, peripherally and, at times, aggressively. Over the past couple of days Peter Brindley has been interrogating various speakers on a wide array of topics. In this session though he and Flavia Machado delicately discussed the issue of equality. Gender-equality is the tip of the iceberg, but perhaps the most glaringly obvious example. We have written in the past about the under-representation of female speakers at emergency medicine conferences, and yet the issue persists. The same applies for individuals from low/middle income countries who simply may not be able to attend international conferences and events. When one considers the other communities that are under-represented on the international stage, it is easy to see how important and difficult and issue it is. Flavia discussed her use of a modified Bechdel test to ensure female representation at international conferences. The Bechdel test is used by Hollywood to make sure that there are at least two women, who are talking to each other about a topic other than men. 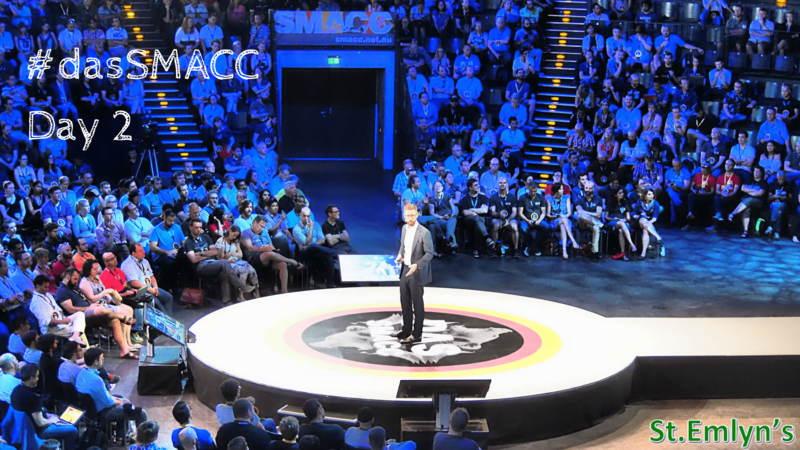 For all the criticism that SMACC receives from various parties, it is difficult to find an organisation that is so self-effacing and eager to change. 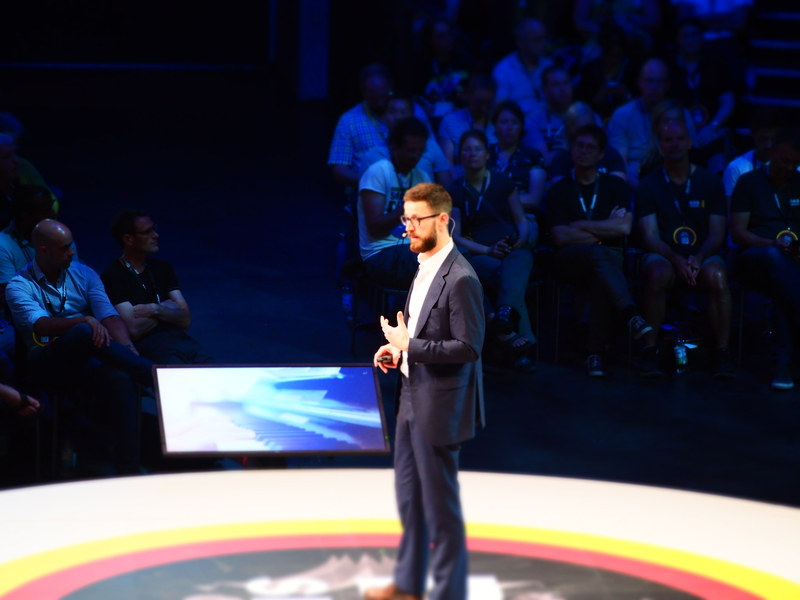 Peter Brindley also took on Scott Weingart to talk around the issues of knowledge dissemination, social media, science and the challenges of navigating the social age. Obviously the St.Emlyn’s view is very much in tune with Scott. Social media is just the medium to assist in the dissemination of medical education and although there are challenges quality will shine through and sites such as EMCRIT certainly demonstrate this. The wealth of experience and knowledge provided by this panel can not be understated. Scott Weingart expertly chaired and navigated topics on dual sequence defibrillation, CPR, ECMO, guidelines, drugs, targeted temperature management and how we handle the paucity of evidence in some areas of our practice. A theme throughout was a balance between guidelines and expertise and how that represents a challenge when we start stretching the limits and limitations of resuscitation. Steve Barnard strongly advocated adherence to guidelines from a systems perspective (and he does work in an amazing system) but other panellists pointed out that individualised resuscitation by ‘experts’ may offer benefits. I think this dilemma stands at the heart of how we manage cardiac arrest in the modern age. In Virchester we frequently go above and beyond standard ALS protocols for those patients in whom we feel a positive outcome is possible. Are we right to do so? Well probably, but we must also be aware that the evidence for many of the more extreme interventions is limited. Fist pacing as a forgotten method of maintaining a cardiac output in asystolic/bradycardic patients1 (and the use of early pacing came up in Nikki Stamp’s talk yesterday). Deciding when to stop resuscitation is difficult and not terribly well defined. Circumstance, assessment, cause and temperature all make this a difficult decision that requires expert thought. Having said that there was a consensus that time based rules are probably a bit too limiting and that we might be stopping too soon in some cases. Geography makes a real difference to what we can achieve. The concept of high level interventions such as ECMO and cardiac arrest centres really only applies ot major urban centres and yet much of the world does not ahve access to those resources due to finance or distance. I’m not saying much about this here as it’s not the focus of the conference. I can say that it was amazing to spend time with #FOAMed friends from across the globe.